Deepen your sense of the past at sights like The Rocks and Justice & Police Museum. 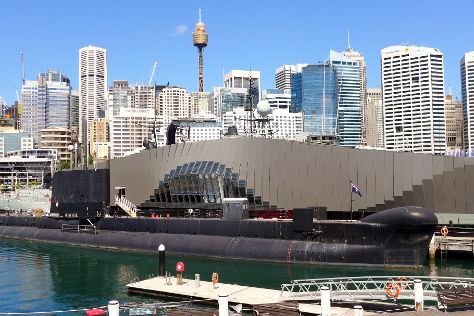 Australian National Maritime Museum and Art Gallery of New South Wales will appeal to museum buffs. And it doesn't end there: admire the natural beauty at Royal Botanic Garden Sydney, observe the fascinating underwater world at Sea Life Sydney Aquarium, examine the collection at Hyde Park Barracks Museum, and wander the streets of Darling Harbour. To find other places to visit, reviews, more things to do, and more tourist information, read Sydney road trip app . The Route module can give you travel options from your home to Sydney. In November, daily temperatures in Sydney can reach 29°C, while at night they dip to 19°C. Wrap up your sightseeing on the 18th (Mon) early enough to travel to Pambula. On the 19th (Tue), enjoy the sand and surf at Pambula Beach, explore and take pictures at Broadwater Oysters, and then head outdoors with Imlay Oyster Producers. To see where to stay and more tourist information, refer to the Pambula vacation builder . Explore your travel options from Sydney to Pambula with the Route module. Expect a bit cooler temperatures when traveling from Sydney in November; daily highs in Pambula reach 24°C and lows reach 14°C. Wrap up your sightseeing on the 19th (Tue) early enough to travel to Araluen. Araluen is a small town near Braidwood in the Southern Tablelands of New South Wales, Australia, in Queanbeyan-Palerang Regional Council. On the 20th (Wed), explore and take pictures at Wisbey's Orchards. To find ratings, more things to do, and more tourist information, read Araluen online road trip planner . You can drive from Pambula to Araluen in 3.5 hours. Traveling from Pambula in November, expect nights in Araluen to be a bit cooler, around 10°C, while days are a bit warmer, around 28°C. Wrap up your sightseeing by early afternoon on the 20th (Wed) to allow time for travel to Adaminaby. Adaminaby is a small town near the Snowy Mountains north-west of Cooma, New South Wales, Australia, in the Snowy Monaro Regional Council. Kick off your visit on the 21st (Thu): contemplate the waterfront views at Lake Eucumbene and then examine the collection at Snowy Scheme Museum. For photos, reviews, and more tourist information, read our Adaminaby day trip site . You can drive from Araluen to Adaminaby in 3.5 hours. When traveling from Araluen in November, plan for a bit cooler days in Adaminaby, with highs around 25°C, while nights are somewhat warmer with lows around 17°C. Cap off your sightseeing on the 21st (Thu) early enough to travel to Wagga Wagga. Start off your visit on the 22nd (Fri): browse the exhibits of Wagga Wagga Art Gallery, examine the collection at Wagga Wagga Rail Heritage Museum, then browse the eclectic array of goods at River & Wren Market, and finally get engrossed in the history at Museum of the Riverina. 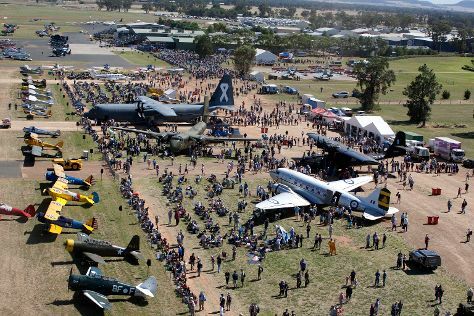 Get ready for a full day of sightseeing on the next day: learn about all things military at RAAF Wagga Aviation Heritage Centre, get your game on at Project Paintball Wagga, and then admire the natural beauty at Wagga Wagga Botanic Gardens. Plan my day in Wagga Wagga using traveler tips and tourist information provided by Inspirock. Traveling by car from Adaminaby to Wagga Wagga takes 3 hours. When traveling from Adaminaby in November, plan for a bit warmer days in Wagga Wagga, with highs around 32°C, while nights are a bit cooler with lows around 13°C. Finish your sightseeing early on the 23rd (Sat) to allow enough time to travel to Coolamon. Coolamon is a town in the Riverina region of south-west New South Wales, Australia. On the 24th (Sun), examine the collection at Up-to-Date Store and then examine the collection at Coolamon Fire Museum. To find more things to do, reviews, maps, and tourist information, read Coolamon trip maker app . Coolamon is just a stone's throw from Wagga Wagga. November in Coolamon sees daily highs of 32°C and lows of 13°C at night. Wrap up your sightseeing by early afternoon on the 24th (Sun) to allow enough time to travel to Junee. Junee is a medium-sized town in the Riverina region of New South Wales, Australia. Start off your visit on the 25th (Mon): examine the collection at Temora Aviation Museum and then examine the collection at Temora Rural Museum. Keep things going the next day: take an in-depth tour of Temora Railway Museum, examine the collection at Sir Donald Bradman Birthplace Museum, and then see the interesting displays at Cootamundra Heritage Centre. To see photos, reviews, traveler tips, and more tourist information, you can read our Junee trip itinerary planner . You can drive from Coolamon to Junee in an hour. In November, plan for daily highs up to 32°C, and evening lows to 13°C. Finish up your sightseeing early on the 26th (Tue) so you can go by car to Young. Young is a town in the South West Slopes region of New South Wales, Australia and the largest town in Hilltops Council. Start off your visit on the 27th (Wed): look for gifts at Poppa's Fudge & Jam Factory, see the interesting displays at Lambing Flat Folk Museum, then take in nature's colorful creations at Lambing Flat Chinese Tribute Garden, and finally learn about winemaking at Grove Estate. To find where to stay, more things to do, maps, and other tourist information, you can read our Young trip itinerary maker . Traveling by car from Junee to Young takes 1.5 hours. Wrap up your sightseeing on the 27th (Wed) early enough to drive to Forbes. Forbes is a town in the Central West region of New South Wales, Australia, located on the Newell Highway between Parkes and West Wyalong. Kick off your visit on the 28th (Thu): stroll the grounds of Forbes Cemetery, then see the interesting displays at McFeeters Motor Museum, then get engrossed in the history at Forbes Historical Museum, and finally take in the pleasant sights at Gum Swamp & Bird Hide. Start your trip to Forbes by creating a personalized itinerary on Inspirock. Traveling by car from Young to Forbes takes 1.5 hours. Finish your sightseeing early on the 28th (Thu) so you can travel back home.